Ever since the discovery of fire, heating has played an essential role in the design of human living spaces. But it’s a little different with air conditioning. Nowadays we have a hard time imagining the sweltering hot temperature of some locales without the luxury of a cool breeze from the central air conditioner blowing in our face. But in fact, people lived for centuries without cooling appliances. When did the need for cool air indoors arise, and where does the invention of air conditioning units fall in history? Though they had nothing like modern-day air conditioning, human beings used little tricks to cool themselves since ancient times. Though dates aren’t known for some of the early methods of cooling air, there’s evidence of the use of air conditioning science that dates back millennia. Ancient Egypt: Some evidence suggests that ancient Egyptians understood the power of evaporation for cooling purposes. They were one of the first people to use a rudimentary form of air conditioning by hanging wet cloths in doorways to create an evaporation cooling effect. When the wind blew past such hangings, it produced a fresher breeze. Ancient China: Air cooling can be traced back as early as 180 AD in China, and the time of Ding Huan. Huan invented a hand-cranked rotary fan that produced a breeze. Ancient Rome: This Mediterranean empire created many ingenious inventions that made life easier: the aqueduct was one of the most famous. Aqueducts were used to pump water to various parts of the city, and even to individual homes. There is evidence of aqueducts that were routed inside the walls of wealthy Roman homes to circulate water and cool the air. 1758: Benjamin Franklin and his colleague John Hadley, professor at Cambridge University, gave a presentation on their investigation of the effects of evaporative cooling. They stated that evaporating inconstant liquids (such as alcohol)on the surface of water can cool an object to freezing. 1820: English inventor Michael Faraday successfully performed a similar experiment using ammonia, which was the volatile liquid used in the first modern air conditioning unit. 1830s: Dr. John Gorrie, an American physician, began work on the first mechanical cooling apparatus ever recorded. It blew air through a cloth doused in ice-cold water. Though large and bulky, and requiring an unearthly amount of ice water to work, it had the power to cool a room by as much as 20 degrees. 1851: Dr. Gorrie patented his ice-cooling invention, which by this time was used specifically in hospital rooms. It was revolutionary in creating a healthier environment for treating yellow fever and other ailments. The first modern air conditioners arrived at the turn of the 20th century, and involved several rudimentary models. Thanks to innovations that came with the industrial revolution, we can enjoy cooling effects that dramatically improve our quality of life. 1902: Willis Carrier invented the first air conditioner reminiscent of today’s models. This discovery was driven the need for cooling in certain manufacturing processes. Working with the Sackett-Wilhelms Lithographing and Publishing Co., who needed an efficient way to cool paper during printing, Carrier invented a machine that blew air over cold coils to produce the cooling effect. The machine de-humidified and cooled the air so paper would stay smooth and the ink fresh. This machine had the ability to cool air significantly and lower humidity levels by nearly 55 percent. 1911: Carrier presented his Rational Psychometric Formulae, which is the fundamental science used behind air conditioning technology today. 1914: The first in-home air conditioning machine (made by Carrier) is installed in a Minneapolis mansion. It was seven feet high and 20 feet wide. Up to this point, air conditioning had only been used in hospital or manufacturing settings. 1915: Carrier joined a group of engineers from the Buffalo Forge Company to establish the Carrier Air Conditioning Company of America, which created air conditioning units for other manufacturers. 1920: Carrier and his engineers discovered a replacement for toxic ammonia in their cooling system: the much safer coolant dyeline. They also made the units significantly smaller so they could be placed in department stores, office buildings, and railroad cars. 1930: The White House and several executive office buildings were equipped with air conditioning. 1931: H.H. Schultz and J.Q. Sherman invented the first window unit air conditioner at an extremely steep cost. 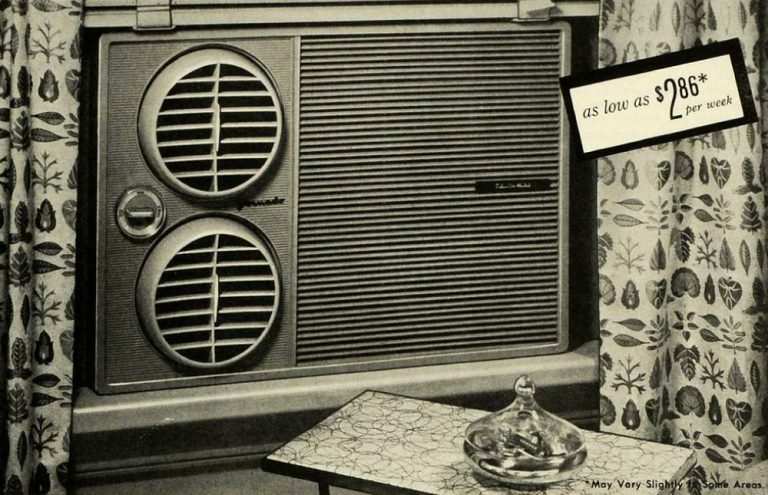 1950s: Air conditioners became extremely popular in suburban homes during the middle of the century, and records show there were roughly 74,000 air conditioners installed during this time. 1953: The popularity of air conditioners had risen so much there were more than a million requests for air conditioning, and the supply could not equal the demand. 1957: Quieter air conditioning units were produced, thanks to the invention of the rotary compressor, which created the same effect with greater efficiency. 1970s: Central air conditioning was implemented in most commercial buildings in large cities, and many air conditioning companies popped up to help meet the demand. 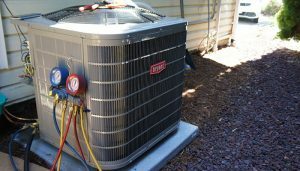 1990s: Energy used for air conditioning doubled over the span of 10 years, which made it necessary to produce more energy-efficient units in response to modern environmental laws. 2007: The percentage of US homes with air conditioning reaches 86 percent. 2010: The percentage of homes with air conditioning in the Puget Sound area was estimated at only 14%. 2015: Today, in excess of 100 million US homes have air conditioning, and that number is growing all the time. 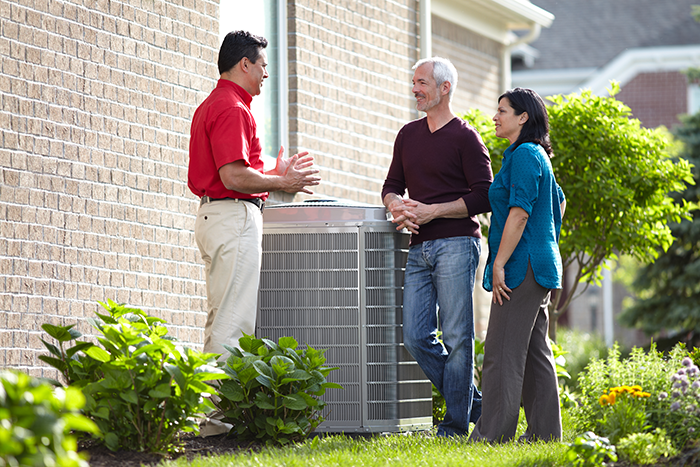 Carrier and their top quality Bryant brand, remains the top seller of air conditioning systems. Improvements continue to be made in air conditioning systems, with a bright future ahead that promises even more efficient cooling. 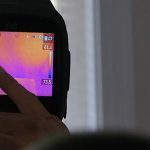 As the EPA continues to improve its energy efficiency standards, so do air conditioning companies who wish to comply and save consumer as much money as possible. One innovation that’s slated to arrive in the near future is the magnetic air conditioner, which works with the magneto caloric effect. Magnetic materials heat up when exposed to a magnetic field and cool down to extremely cool temperatures when the magnetic field is removed. This new air conditioner is meant to be more environmentally friendly than traditional air conditioners, as well as more energy efficient. Prototypes are currently being tested, and are not yet available for mass marketing. Until the time when newer products come out, you can enjoy the top-of-the-line products we sell here at Washington Energy Services. 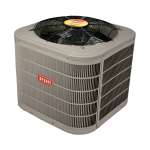 Browse our collection of Bryant heating and air conditioning units and maintenance services, and contact us with any questions.